The following morning, we arrived in Belfast and it was damp and cold, but that didn’t stop me and I was off the ship before 08:00, ready for my ‘Scenic Coast and Glens’ tour and my first solo passenger port day. It was a very pleasant drive from the port to the Glens of Antrim and we made a short photo stop en-route in a small fishing town named Carnlough, which is home to a hotel that was once owned by Sir Winston Churchill. Once back on the coach, we continued our drive to the Glenariff Forest Park. Although it had remained dry, the moment we left the coach at Glenariff it started to rain. Everyone headed inside the famous tea room for scones and hot drinks (which were delicious) and hoped by the time we had finished that the rain would have stopped. That wasn’t to be. Glenariff, called the ‘Queen of the Glens’s, is considered the most beautiful of the nine Antrim Glens and the park itself covers an area of over 2,900 acres. Originally formed by glaciers, Glenariff follows the topography of a U-shaped valley, as it sweeps majestically from the high Antrim Plateau, through enchanting forests and then spilling out into a wide pastoral valley before ending in a white sandy beach and the Irish Sea. The area was incredibly beautiful, but sadly we didn’t get to see a great deal of it because the rain was relentless. Our final port would be Liverpool and we arrived on time following our departure from Belfast. Originally, I had booked a tour here, but I decided to cancel and instead, I enjoyed a walk around on my own. I’d never been to Liverpool before, so it was nice to explore another new destination. I walked through the city centre, passed the iconic Cunard Building and then back to the ship via the river front – I even stopped to enjoy an ice cream and read the plaque on the memorial that was placed in memory of the 244 engine room crew who had lost their lives when Titanic sank. Liverpool wasn’t the most exciting port of the cruise, but it allowed me to go ashore independently and navigate a new place, which I think is a big confidence booster for people who travel solo. Don’t do organised tours all of the time, get out and do something completely on your own. I passed 5 other Saga passengers who were also exploring alone, one of which had managed to find the Debenhams sale and then brought half of it back to the ship! We sailed from Liverpool at 21:00 and had 2 sea days to enjoy before we arrived back in Dover for disembarkation. I spent my first sea day enjoying the fresh air on deck and, briefly, the sunshine. I had lunch at the Beach Club (delicious fish and chips) and then I spent some time on Deck 12 with the ORCA team. Let me tell you that those women are made from strong stuff! It was blowing a gale up there and quite chilly, but aside from taking a break for lunch, they were out there from the early morning until the early evening – every sea day! During the cruise, the team spotted 417 individual marine mammals with 15 different species being positively identified. These included Minke whale, Humpback whale, Harbour porpoise, Northern Bottlenose whale, Risso’s dolphin, Fin whale, Sperm whale, Grey seal and Long-finned Pilot whale. Our second sea day, and ultimately our last day, was spent sailing along the coast of Cornwall, Devon and Hampshire etc.. The sun was shining, we had superb scenery and I think every passenger was out on deck enjoying their last hours aboard this fabulous ship. I did spend some time outside, but I also wanted to try and catch up on some of the lectures that I’d missed. There was a Geographer & Geologist onboard named John Brinkley and I’d wanted to get involved with some of his talks. Thanks to the in-cabin TV, I could do this when I was getting ready for dinner and the most interesting lecture for me, from him, was ‘Can We Predict Volcanoes?’. I learned SO much, it was fascinating! I now know all about Seismic Waves and which ones do and do not penetrate the earths interior, I know how they collect molten lava and then cool it for testing and I can even tell you that experts monitor the ground around volcanoes for “bulging”, as it is believed that a change in the volcanoes ground surface could be an indication that magma and gas is moving and thus the volcano could be about to erupt. Like I said. FASCINATING!!!! 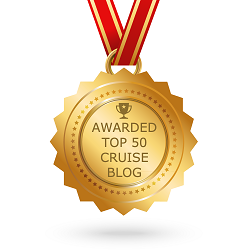 I had the most wonderful time aboard Saga Sapphire, I always do! The ship herself has such a charm about her and you can’t help but fall in love, the crew are always smiling and are very attentive and the food, well, what can you say about the food on a Saga cruise, aside from delicious?! The best food I’ve eaten at sea has always been aboard Saga Sapphire. There’s just something about the entire Saga experience that has pulled me in and won’t let me go, and I know I’m certainly not the only one that feels that way. Everything is executed perfectly, even down to the simple things, like free juice from the dispensers on Deck 9, which unlike on other ships, is available all day. 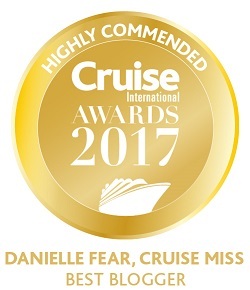 My solo time onboard was very enjoyable and I would highly recommend Saga to anyone and everyone thinking of taking a solo cruise. There were many coffee mornings, luncheons and dinners for solo passengers and even opportunities to meet up ashore. If you want time to yourself, you can have it, and if you want to travel alone but meet new people along the way, then Saga is a great option for you. 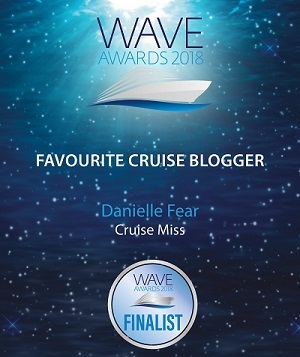 I didn’t come across any solo passengers that had anything negative to say about travelling on their own with Saga, everyone seemed perfectly content and one woman with whom I spoke even said it had been her best solo cruise to date. I let my social butterfly out on several occasions during my time onboard: I met a lady last year on Captain Rentell’s Mystery Cruise and she too was on this sailing, so we enjoyed fish and chips together at the Beach Club one afternoon and a few evenings together in Cooper’s. I had lunch several times with a man I’d met onboard before we’d even left Dover and I had dinner with my onboard “grandma” on the last evening. There were solo Saganauts everywhere! I also bumped into a lady on this cruise whom I’d met last year on another ship. If you make the effort to communicate with your fellow passengers, then taking a solo cruise could be the best decision you ever make. I always enjoy travelling with my friends, we have such a good time, but it is also nice to enjoy a trip that you can tailor-make just for you and do as much or as little as you like. Another reason why I like cruising on my own so much is because I enjoy talking to new people and hearing of their tales, it keeps my mind active and I feel like I’m always learning. For example, I met a lady on this cruise that had worked for the Bermudan Government for more than 35 years, so you can imagine the conversations we had. She was such a joy to be around. One story she told me was about a French submarine named ‘Surcouf’ that vanished without a trace after leaving Bermuda during World War II. The vessel, named after an 18th century French pirate and launched in 1929, was designed as an “underwater cruiser” intended to seek and engage in surface combat as well as torpedoing enemy shipping while submerged, but she left Bermuda (en route to the Panama Canal) in February 1942 and was never seen again. There was widespread speculation and rumour, of course, but nothing has even been confirmed. The crew aboard Saga Sapphire are wonderful and I’d like to take a moment to say thank you to: Jay (Bunso), Jackie, Joel, Mark, Dianja, Eddy, Captain Burgess, Hazel (both of them), Chelle, Loney, Ben, Resty, Marcelino, Morris, Joven, Junnel, Jordaniel, Ryan, Azel, Lito, Rogie, Francis, Jhay-R, Ikadek, Andy, Perry, Wilson (fist-bop), Arnold, Nestor and Mary Ann. I’m sorry if I’ve missed your name off the list – there were so many to remember – but please know that I am grateful to you all and I hope to see you again soon! 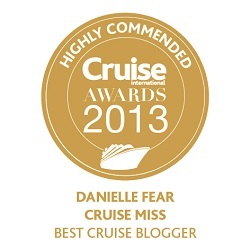 ‹ CruiseMiss Blog Cruise Awards – Please Vote!